COME ON! You'll love it! RENT ME! Means you can rent the trolley for your special occasion, birthday, graduations, weddings…use your imagination. 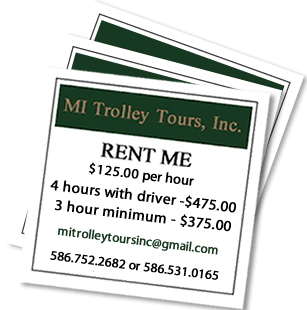 MI Trolley Tours are a great way to see all the sights of a town or village at your leisure without having to worry about the hassles of driving yourself and missing something. Check out the limo prices. We are UNIQUE in more ways than one! Invite your friends and family for a tour on this classic, antique style trolley. The trolley is pulled by a farm tractor. Pulled by truck at maximum speed of 25 MPH. We love a parade! Call us to join yours!. WEDDINGS on our trolley make for pretty pictures and for a nice ride with your bridal party through your hometown. 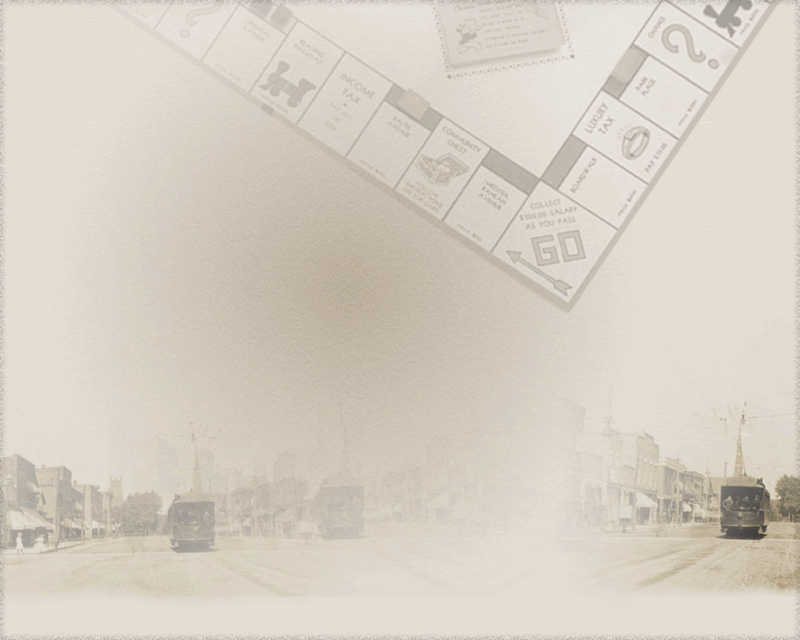 We can do HISTORIC TOURS in your city for your event!